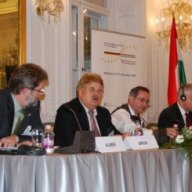 At the initiative of the European movements in Hungary and Germany, and under the leadership of the Institut für Europäische Politik, the first German-Hungarian Forum was conducted in June 1991 with the support of the then heads of government, József Antall and Helmut Kohl in Budapest. 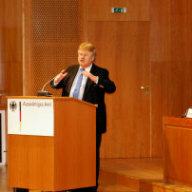 The German-Hungarian Forum is now one of the most important institutions in the societal dialogue between Germany and Hungary. The aim of the forum is to discuss current issues of the social and economic development of both countries in an open dialogue, and to find common responses that also take into account the demands of European integration. 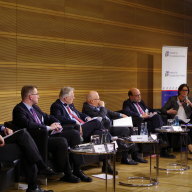 The German-Hungarian Forum is a platform for all social groups. As a bilateral dialogue initiative, it promotes the exchange of ideas and experiences between representatives and experts from politics, business, culture, science and civil society in both countries. Objectivity and no political party bias are among the fundamental principles of the activities of the Forum. Due to the importance of the Forum for bilateral relations, the government- and in particular the Foreign Ministries of both countries- have from the outset promoted its work at the highest level. The Forum is grounded in a bilateral partnership agreement between the two countries in February 1992. 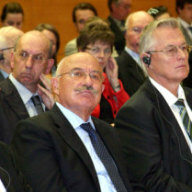 The German-Hungarian Forum has since then become an integral part of the bilateral relations between the two countries. 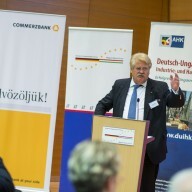 The President on the German side of the German-Hungarian Forum is Elmar Brok, MEP. Honorary President: Otto Wolff von Amerongen †. 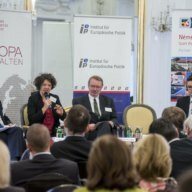 The main supporters of the forum are the Institute for European Politics in Berlin (Coordination: Dr. Katrin Böttger) and the Hungarian Council of the European Movement in Budapest. 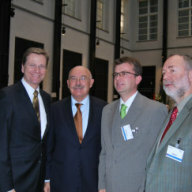 The activities of the German-Hungarian Forum are supported by the Foreign Office in Berlin.